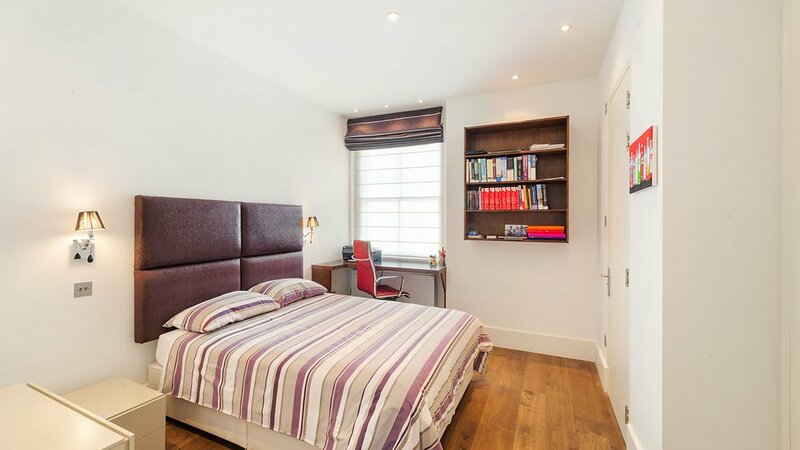 Enviably located in the heart of Marylebone and situated on the third floor, this lovely two double bedroom apartment offers bright and airy interiors with a contemporary feel. The flat is in great condition and offers high ceilings, lots of natural light, a fantastic layout and generously sized rooms. 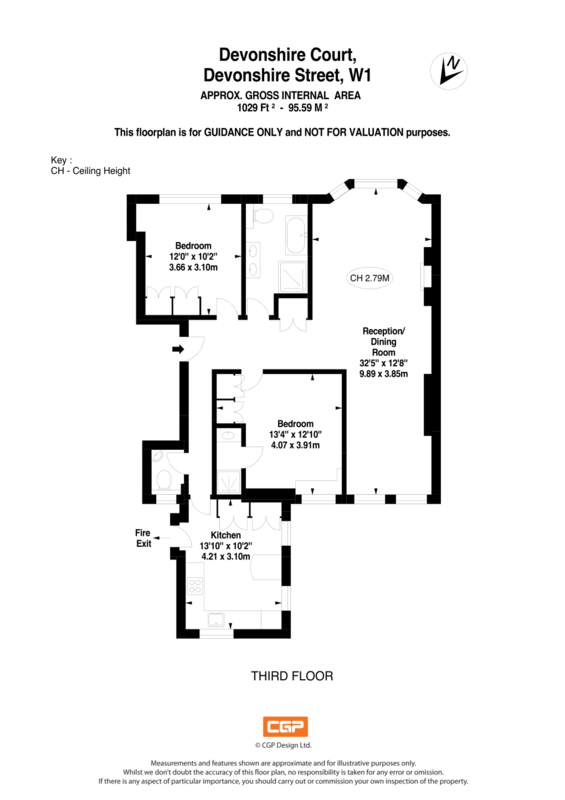 The flat comprises of a spacious entrance hall with storage, large reception room with dining area, kitchen with central island allowing seating for four diners, master bedroom with en suite shower room, further double bedroom and separate bathroom with a bath and separate shower enclosure. There is also an additional guest WC and lift. 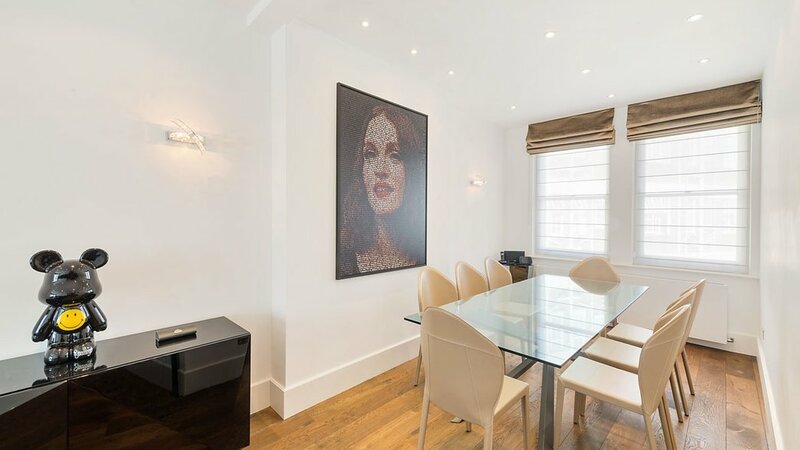 Devonshire Court is located on Devonshire Street, in the heart of the Marylebone Village and just moments from the fantastic amenities of Marylebone High Street and the green open space at Regent’s Park. 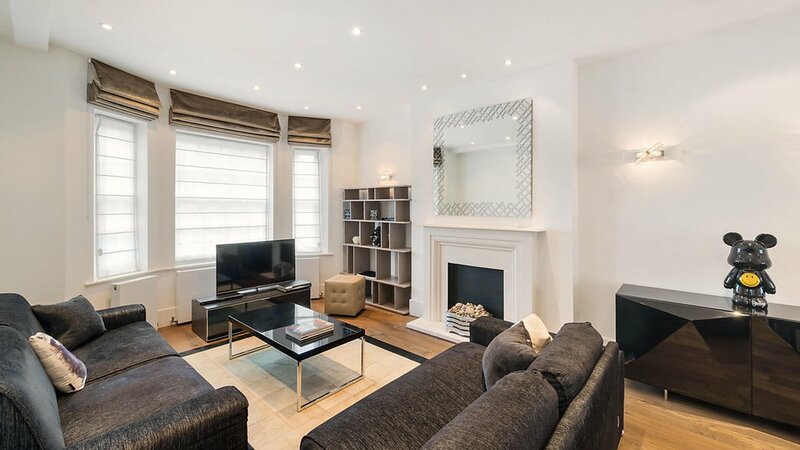 Regent’s Park, Baker Street and Bond Street underground stations are within close proximity to the property and access to the West and Heathrow is very easy via the A40. 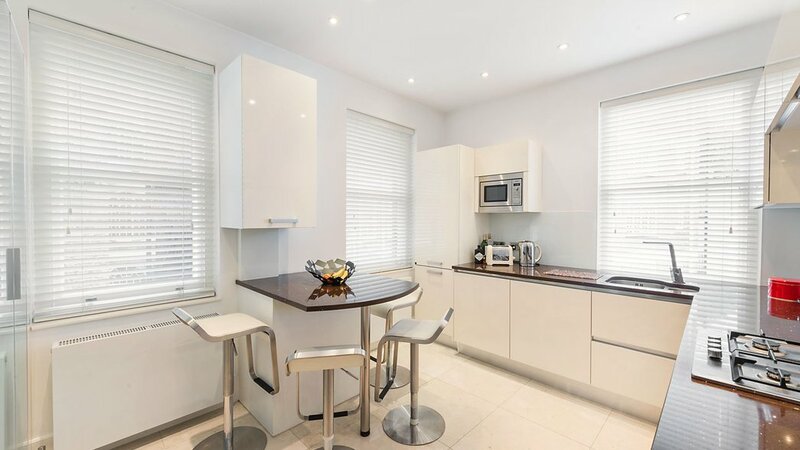 Euston train station is also very close, meaning that this flat is exceptionally well positioned. Accommodation comprises; Entrance hall, Open plan sitting room/Dining room, Kitchen/breakfast room, Master bedroom with en-suite bathroom, one further double bedroom, Second Bathroom, Guest WC. There is also a lift.